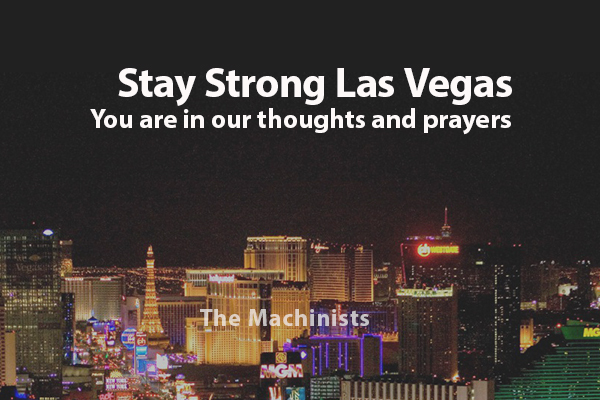 The Machinists offer our heartfelt condolences to the victims and families of the Las Vegas shooting. We are thankful for the first responders who helped save lives through their heroic efforts. It is our hope that collective action and the spirit of resiliency will carry us through this senseless and violent tragedy. Our continued prayers are with the entire Las Vegas community.